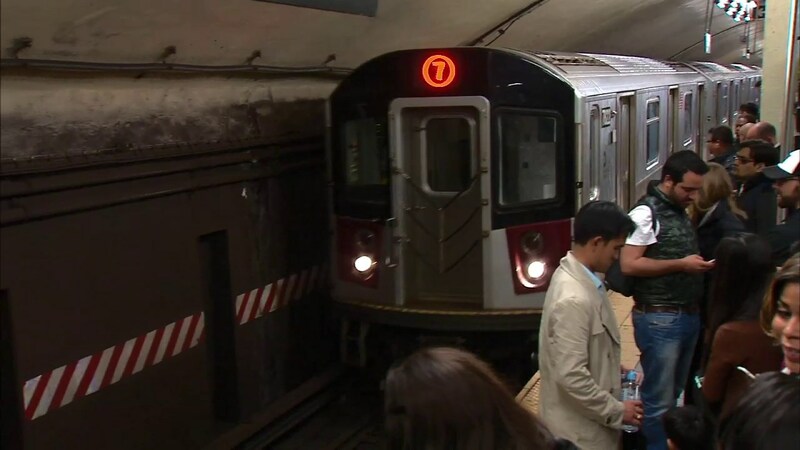 NEW YORK (WABC) -- Service on New York City's 7 train will not be running in or out of Manhattan this weekend. The MTA said no trains will run between Queensboro Plaza in Long Island City and Times Square. This starts at 12:15 a.m. Saturday and runs until 4:30 a.m. Monday. The work is part of three projects: Installation of a new Communications-Based Train Control (CBTC) signal system; elevated track replacement and infrastructure work; and reconstruction and fortification of the Steinway Tubes. Commuters looking to get to and from Queens may use shuttle buses and the E, F, N, Q and R trains.